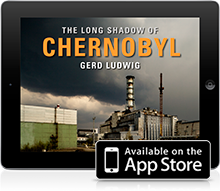 The Huffington Post, one of the top news websites in the US, has posted a story on 25th Anniversary of the Chernobyl disaster featuring The Long Shadow of Chernobyl project. Please share with your Facebook friends and Twitter followers! Previous post: Intermediate Kickstarter Goal Achieved! Powered by Wordpress and the Thesis WordPress Theme from DIYthemes.